This master bathroom has a Jacuzzi and plenty of space throughout. 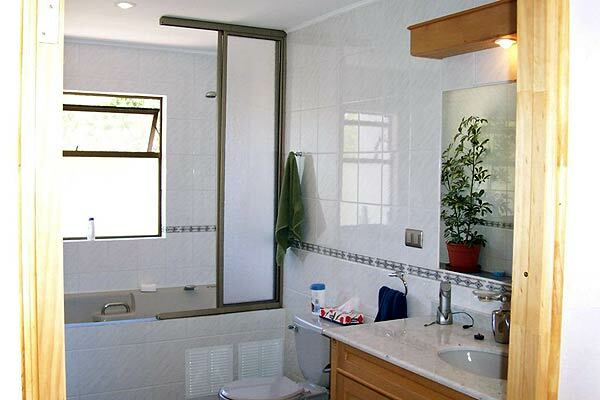 The strategically-placed window adds a view to your showering experience. But nice as a Jacuzzi can be, the Valley's weather calls for a swimming pool. Let's dive in!